The Cebek PM-5 is a pre-built Mono Pre-Amplifier Module with Tone Controls. It allows independent adjustment of treble and bass from a mono signal. Adjustment is made by a Bandaxall corrector circuit. Operating voltage is 9-24V dc power supply (for example our CFE002). 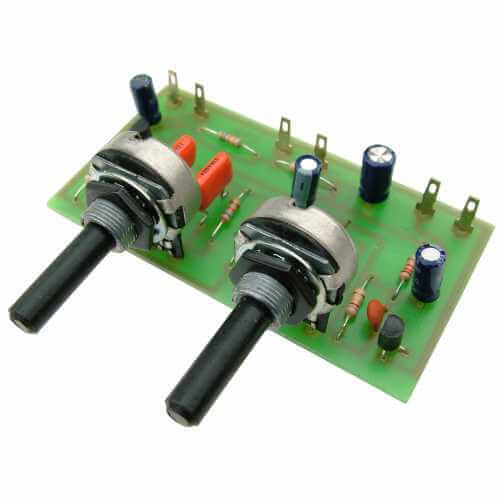 Suitable for use with audio amplifier modules CPM001, CPM002, CPM004 and CPM007.